The following is an excerpt from the book, “Dealing with Diabetes Burnout,” by Ginger Vieira. 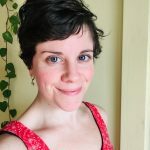 It’s hard to give just one definition for “diabetes burnout” because what that looks like in your life compared to mine or anyone else’s can be drastically different. And the phase of burnout you feel this year could be very different from a phase of burnout you experience seven years from now. To feel burned-out in diabetes management doesn’t necessarily mean that you’re not taking care of yourself. Instead, it can simply mean that while you go about checking your blood sugar, counting your carbs, taking your oral meds, and taking your insulin, you feel incredibly stressed-out and tired. 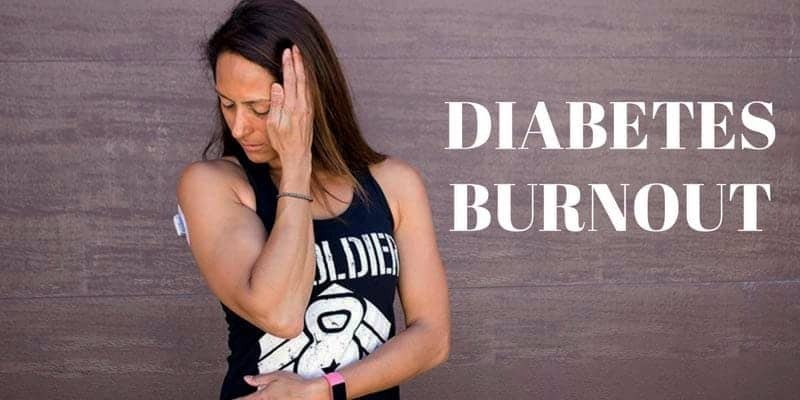 For others, diabetes burnout can absolutely mean you’re neglecting your blood sugars, harming your body, and struggling so much on an emotional level that you’re putting your physical health in danger. And then there’s somewhere in between: where your body isn’t exactly in grave danger because of your burnout, but you’re definitely not making diabetes a priority, and your blood sugars are paying the price. All forms of burnout matter because how you feel matters, and most importantly, you matter. Before you try to “get over” something, it’s important to really understand where you’re starting from and what’s currently going on in your life (and your head) around your diabetes. Just like planning a cross-country road trip, you can’t start driving to get there until you know the location where you’re starting from (and, of course, where you really want to go). 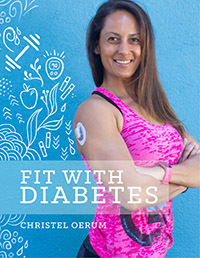 Digging deeper into your burnout is about being very honest with how you are currently managing your diabetes on a day-to-day basis, how you’re eating, how you’re taking your insulin and exercising. Digging deeper is about creating a very clear understanding of what life with diabetes looks like in your actions and behaviors today before trying to move forward and achieve a specific goal. You should not feel as though you must overcome your burnout today, tomorrow, or even next month. It’s a process, and that process can take a short amount of time or a longer amount of time—and that’s okay. Your experience is your own. Overcoming burnout this month or this year does not mean you or anyone else should expect that you will never encounter burnout again in the future. You’re human, and until they find a cure to help this ol’ pancreas, you have every right to experience burnout. With the 5 tips outlined below, think about one small and specific thing you’d like to start doing within your life with diabetes to begin moving through your burnout. Understand where you’re starting from. If you don’t sit down and really ask yourself the hard questions of why and what and where you’re at in your current health, your life, your emotional well-being, then you can’t move forward! Gotta know where you are, shining a light on all the stuff in the corners that you might not want to acknowledge, to truly understand where it is you want to go and how you’re going to get there. 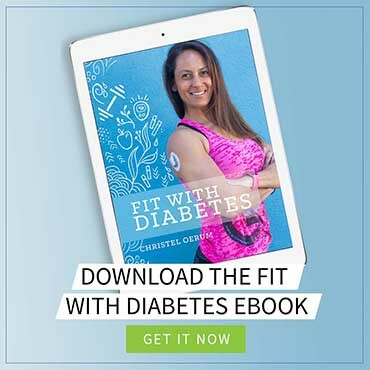 Be super, extremely, incredibly specific in what your diabetes management looks like today and what you’d like it to be instead in the future. Write it down! This is about more than just being a “good diabetic” or having a “better A1C,” it’s about who you are as a person and what you want for your future. Make sure you create a goal that allows you to measure your progress. In other words, a useful goal wouldn’t be “I want to check my blood sugar more often,” but instead, “I’m going to start checking my blood sugar every morning before breakfast for two weeks.” Little steps for big progress. Ask yourself why this matters to you. Why do you want to change or improve this part of your life? How will it impact every other part of your life? Why do you care? Create a Pick-Up Plan. One of the most underrated skills a “successful” person has acquired and fine-tuned is the ability to pick themselves up when they get thrown off their track. The path is not going to be free of mistakes or self-doubt or moments of feeling like a failure…so how what will you do to recover from those moments in order to ensure that you don’t give up completely just because things got tough? Diabetes burnout ain’t a simple thing. It’s different for each of us and it’s usually made up of a lot of different emotions, real-life issues and situations, and personal obstacles. Working through it isn’t an overnight thing. The more freedom you give yourself to evolve at your own pace, to adopt new habits or new ways of thinking in your own time, to be imperfect and make mistakes…the more likely your burnout will become a smaller and smaller part of your life with diabetes. Previous Post: « Is Your Post-Workout Snack Sabotaging Your Weight Loss? Not the only one with burnout and someone understands. I will definitely get the book as well! T1D x 31yrs. That is very normal for people with type 1 diabetes and people without diabetes. There are many reasons why people have it. If I have burnouts then I do buroees for less than 5 minutes per day. T1D for 51 years. I am a 29 year old Type 1 Diabetic and have been since I was 15 months old (life long Diabetic here). I am so blessed to have come across your site and to have found this article. I have not been a “good diabetic” for a long time and my doctors seem to be giving up on me since I am not trying. I am so happy that I now have a name for what is going on. I have been going through diabetes burnout for about 10 years, and now I know some steps to get out of this rut. Some days, what you need to hear and remember just hits you in the face. This is one of those days. As a diabetic since 31 years, and as a simple human being struggling with life, I needed this today. Thank you, for the great article. Loved this article its help me understand and know that I m not the only one going though this burn out. that was me two years ago. i have gotten better and differently this group has help me a lot to understand and change things in my life. Thank you so much I m definitely going to get this book. i really want to help my mother control her sugar and live a better life. Having T1 for 52 years can be a struggle to deal with. There are tines when the everyday duties bother me. Especially high blood sugars. But I go on with my life because me having diabetes will always be there and I am the one who is, responsible for managing it the best way possible. thanks for the article. i have definitely experienced burn out. .. more of in between. but i wont give up and i hope no one does!! right now im making it priority along with other aspects of my life that is important to me. Wow this is a great article , this so fits how I’m feeling, I know I’ve only been T1 for 17 years but this can get in the way , sometimes annoying myself n my family . I’ve known that day would come no matter how hard we watched my health , the diagnosis still happened, but all is good it could be worse, just focusing on all the good things! Wow! A lot to digest here.